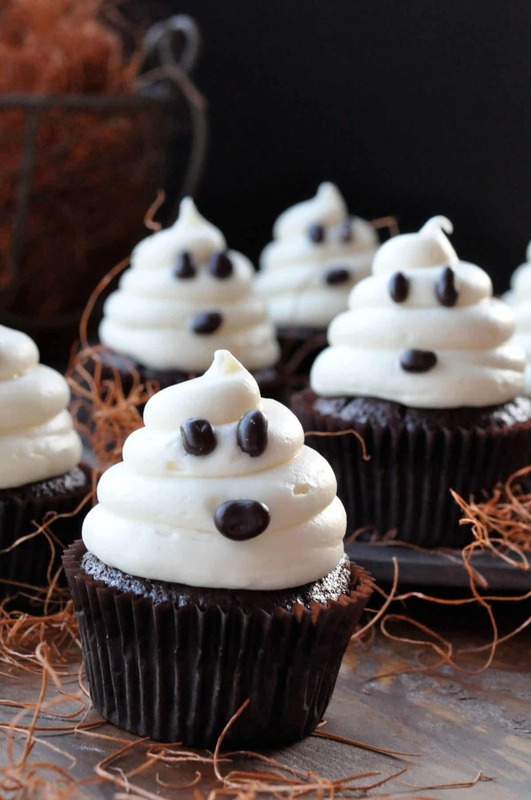 Aren’t these the most adorable Halloween cupcakes ever? 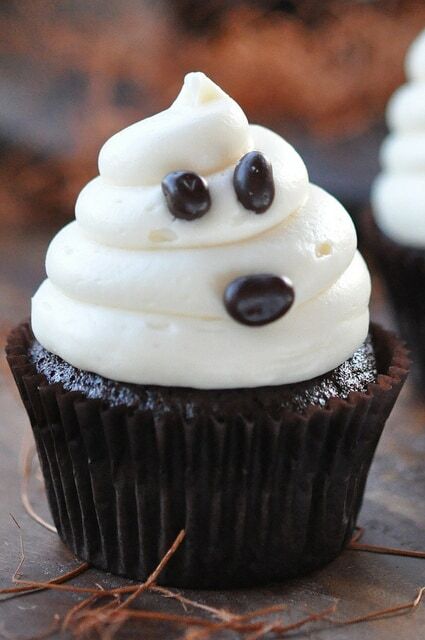 When you hear how fast and easy it is to put these cute little ghosts on cupcakes made out of carrot cake, you’ll really think so. You still have time, the witches and goblins aren’t coming down the street… yet. This cute design on my speedy recipe will get you ready for the party in no time. My kids love Halloween and I usually have elaborate ideas about the treats and decorations and costumes for the dog that I plan to make floating around my in head for weeks leading up to the day. But, as life and errands and deadlines creep up, my visions get scaled back until the ideas are much more manageable. If you are anything like me, you are probably hunting for Halloween ideas that have “knock ’em dead wow factor” tucked into a “quick and easy” package, too. First, make the cupcakes. For speed and minimal clean up, I turned a spice cake mix into a carrot cake cupcake by adding shredded carrots, crushed pineapple and chopped walnuts. I used this recipe for the Ghoulish Ghosts with Cream Cheese Frosting. Please feel free to use your own recipe if you don’t like using a cake mix or if you have enough time to bake from scratch. I don’t always have the time and, well, sometimes “a Mom’s got to do what a Mom’s got to do” to get the job done. I’d much rather spend the night passing out candy and visiting on the driveway with neighbors than measuring out flour and wiping the “dust” from it off of the kitchen light fixtures. The frosting for the ghosts is a straight forward white cream cheese icing. Take the butter and cream cheese out of the fridge while you are mixing the cupcake batter so you won’t have to wait for it to come to room temperature. I used chocolate covered pomegranate seeds for the eyes and mouth of the ghosts, if you can’t find them at your favorite store, there is no need to make a special trip, just use mini-chocolate chips and push the pointy end into the frosting. Try squishing or slightly melting them on waxed paper so they aren’t perfectly round. If you don’t have a pastry bag and tip, just cut one of the corners off of a zip bag and use that as a pastry bag. This is a quick and easy way to turn a spice cake mix into a carrot cake. Mix together the cake mix, pudding, eggs, oil, and water. Beat on medium speed for 2 minutes. Fold in shredded carrots, pineapple and nuts. Spoon batter into cupcake papers. Bake for 12 to 15 minutes. Beat together cream cheese and butter. Spoon frosting into pastry bag or zip bag (cut off one corner). Pipe a mound of frosting in the center of each cooled cupcake. Pipe a spiral circle around the base of the frosting mound and pushing out to the edge of the cup cake. Make the circles smaller as you go up. Pull the pastry bag away leaving a little "tail" at the very top. Place pomegranate seeds or chocolate chips in the position of eyes and mouth. Refrigerate until serving to keep the frosting from wilting. 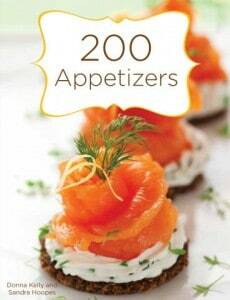 Hope you have fun with this easy recipe! These are so simple and absolutely adorable! I love Halloween creations like these. These are so adorable. I love things that are easy. Super cute. Would be great for young kids to make for themselves. These are GREAT! I think it’s wonderful that you made them and if getting them done with a box mix works…it works for me! They’re adorable! These are totally cute!! Love the cupcakes and I bet they taste amazing. Your ghosts are adorable! Such a cute way to dress up the cupcakes! I love these little ghosts, and they make anyone look creative, they’re so easy. Thanks also for the converted carrot/spice cake recipe. It works. What size tip did you use? How many cups does the 8oz of butter translate to for the frosting? Hi Ashley, Thank you for your question! 8 ounces of butter is 1/2 pound or the size of two sticks of butter (8 tablespoons each) when purchased in the average 1 pound package in U.S. grocery stores. I think that measures out to 1 cup but, I always just use the 2 sticks of butter and skip pressing it into the measuring cup. I hope you love the cupcakes! My family does.